The referees and judges who will be overseeing the main and co-main events at UFC 232 were named on Monday during a meeting of the Nevada State Athletic Commission. The card on Dec. 29 will close out the year for the UFC with two title fights taking place at the T-Mobile Arena in Las Vegas. 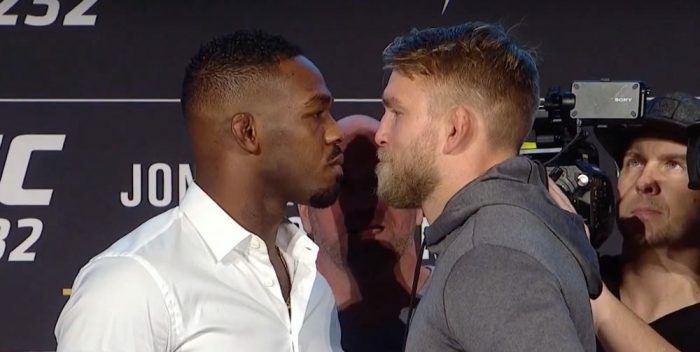 At the top of the card is a light heavyweight title fight between former champion Jon Jones and Alexander Gustafsson. The two fighters first met five years ago in a matchup that is often hailed as one of the greatest fights in UFC history. Jones will be coming back from more than a year away from the sport as he looks to regain the title he never lost in the cage while Gustafsson attempts to become a champion on his third attempt while also seeking revenge from his prior loss. Veteran referee Herb Dean will be third man in the Octagon when Jones and Gustafsson clash for the second time at UFC 232. Meanwhile the judges scoring the fight cage side will be Sal D’Amato, Derek Cleary, and Junichiro Kamijo. In the co-main event, Cris Cyborg will face off with Amanda Nunes in champion versus champion showdown at 145 pounds. Cyborg is the reigning women’s featherweight champion, who has gone undefeated thus far in her UFC career including a TKO against Yana Kutiskaya in her last fight. Nunes will move up to featherweight to attempt to win a second belt after several defenses of her women’s bantamweight title. Marc Goddard will be the referee in charge of Cyborg vs. Nunes on Dec. 29 with judges Chris Lee, Dave Hagen, and Mike Bell scoring the fight. UFC 232 goes down Dec. 29 from Las Vegas with the card airing live on pay-per-view. ONE Championship Expected to Ink 3 Year Broadcast Deal with Turner Sports in U.S.